Change is inevitable and over the years, VV CDC has transformed itself based on community and internal forces. VV CDC implemented its first priority to physically beautify its immediate environment, through creation of community work projects on the grounds and surrounding neighborhood of Crenshaw Christian Center of Los Angeles. Today, professionals, government officials and business owners from this and surrounding communities attend a cadre of meetings designed to enhance the community on countless levels, drawn to this site because CCC stands alone as a welcoming place with its lush, inviting oasis in the middle of an untidy urban environment. The beautification project began on the grounds of Crenshaw Christian Center of Los Angeles County (CCC). Beginning at the church in 1992, Dr. Betty R. Price leveraged her position as First Lady to share her vision of the need for community rebuilding, resultant from the civil unrest. Dr. Fredrick K.C. Price took a leadership position, administratively and financially by commissioning the Vermont Village Community Development Corporation, a standalone nonprofit 501(C)(3) community based organization. Its office has been continually located at 7901 South Vermont Avenue, Los Angeles CA. The local community benefits from the VV CDC activities. The organization is open to anyone and everyone for all services VV CDC provides. Vermont Village CDC recognizes South Central Los Angeles, and particularly the Vermont Corridor as an emerging community in the sense this area was physically and economically devastated twice in a short period of time. Initially the commercial strip, which stretches six miles from Florence to Imperial Highway, was destroyed by the 1965-Watt’s riots from which it began to surface at the time of the 1992 civil unrest, which devastated those new and renovated businesses. In recognition of these events, the first economically based project pursued by the VV CDC was the acquisition and renovation of the northeast corner of Vermont Avenue and 81st street. VV CDC sought to restore a vacant multi-tenant commercial building; it was a 26,921 square foot, two story building with a mezzanine tower and basement. AS the negotiations moved forward; the deal was abandoned because an agreement for the purchase price could not be reached with the owner. 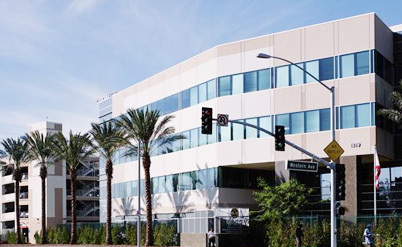 Currently, VV CDC’s stand alone non-profit (VV HSC) owns and manages the LA County Administration building (DPSS) building located at 1827 Charlie Sifford Dr, formerly 120th and Western ave in Los Angeles. Through these projects and others like it the VV CDC has generated employment opportunities and much needed social services for the community. The project is helping small businesses surrounding the development with the opportunity for them and the neighborhood residents to benefit financially from the foot traffic of well over 900 to 1,200 people a day in need of goods and services.